The Texas Examinations of Educator Standards (TExES) Music exam was designed to determine participants’ knowledge and aptitude to perform as entry-level music educators in Texas public schools. The exam is compiled by the Texas Educator Certification Examination Program (TECEP), which provides several similar standardized exams for public school subjects in Texas. By covering all ten of these musical standards through questions on the TExES Music exam, the TECEP certified those music educators who are best qualified to meet the standards of public school education in the state. How Should I Get Registered for the TExES Music Exam? Those interested in taking the TExES Music exam should register on the TECEP website. Test appointments can be made year-round and specific times and dates are assigned on a first-come, first-served basis. Examinations are administered by Pearson, an international standardized testing administrator. 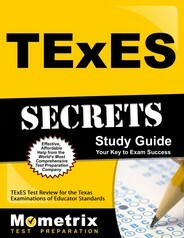 Pearson offers the TExES Music exam at computer-administered test sites throughout Texas and the U.S. The exam requires a $116 registration fee. How Is This Music Exam, Provided by TExES, Administered? The TExES Music exam participants receive a five-hour appointment time. 15 minutes are devoted to a computer-administered test tutorial and four hours and 45 minutes are devoted to testing time. The exam includes the use of a headset during “listening” questions. Prospective participants can take a tutorial on this feature before the exam by visiting the TECEP website. What Belongings Are Permitted and Prohibited During the Music Exam from TExES? Participants in the TExES Music exam are required to bring with them two pieces of original and valid identification printed in the names in which they registered. The first piece of identification must be government issued, such as a driver’s license, passport or military identification. The second piece of identification can be any valid and original documentation that bears the participant’s name and a clear photograph or their name and signature. Participants are forbidden from bringing a long list of items to the exam. Prohibited items include cell phones or other electronic communication devices, handwritten or printed study materials, backpacks or bags of any kind, food or drink and unauthorized medical devices. What Specific Content Appears on this Music Exam Provided by the Texas Examinations of Educator Standards? How Can I Be Sure to Pass the TExES Music EC-12 (177)? Because of the TExES Music exam’s comprehensive inclusion of musical education domains and its emphasis on ten robust standards of musical education, it is critical that prospective participants spend the bulk of their study time familiarizing themselves with this base knowledge. Because the exam also includes a unique listening element, prospective participants will want to leverage customized study tools. The tailor-made products from Mometrix Test Preparation can put participants in the TExES Music exam in the best possible position to pass. 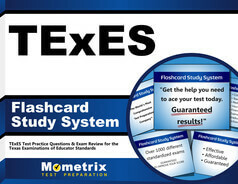 The combination of Mometrix’s study guide and flashcards gives them the chance to both become familiar with the exam’s large base of information and to drill on that information so that they can apply it to exam questions.